Cooking in an RV doesn't have to be difficult. 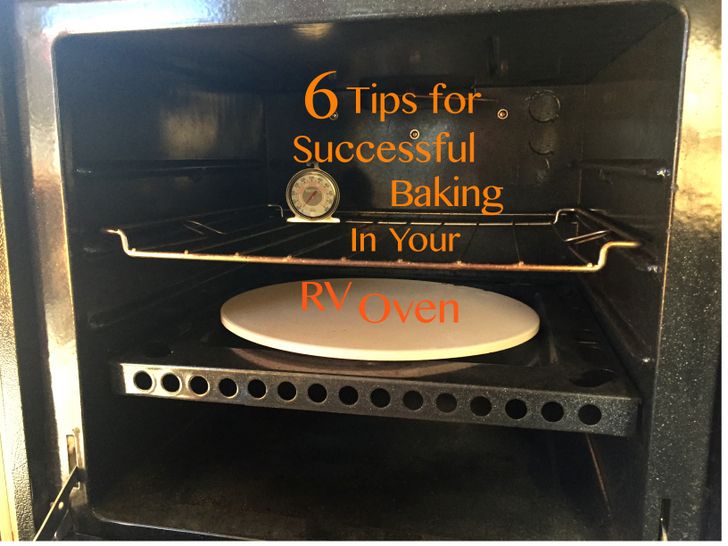 Follow these 6 simple tips for successful baking in your RV oven every time. “You cooked that in there?” Yup, I sure did. “There” being my RV oven, and “that” being a multitude of delicious baked goods, tasty casseroles, and a pretty stellar homemade pizza, if I do say so myself. Yes, I use my RV oven. In fact, I use it a lot. On average I crank up the oven a few times a week, and I cook everything that I used to make back when I lived in a house with a normal sized oven. I’m constantly surprised by how many people find this astonishing. 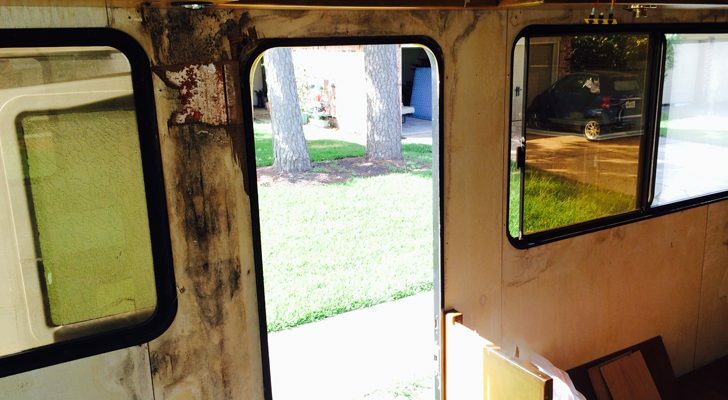 There’s a weird stigma surrounding RV ovens. From the notion that they burn everything, to the opinion that they’re only good for extra storage, many people view the RV oven as an intimidating and worthless appliance. Here’s my take on the RV oven. 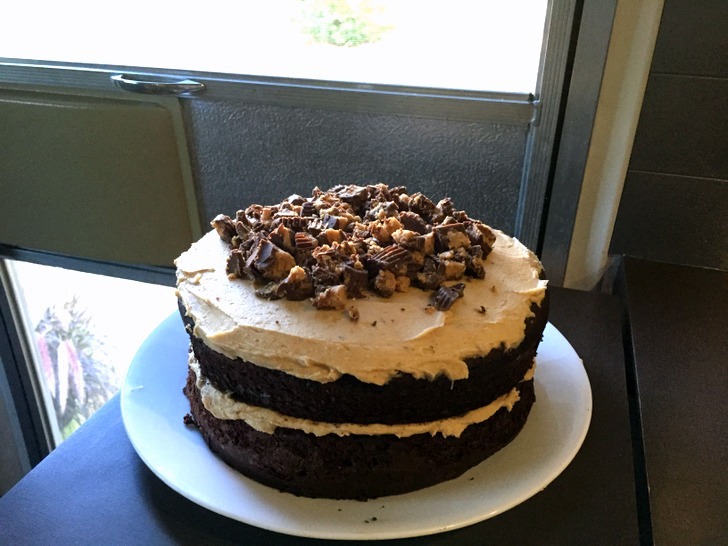 If you hate baking and never use the oven in your traditional sticks n’ brick house, then chances are you’re not going to suddenly become a champion RV baker. 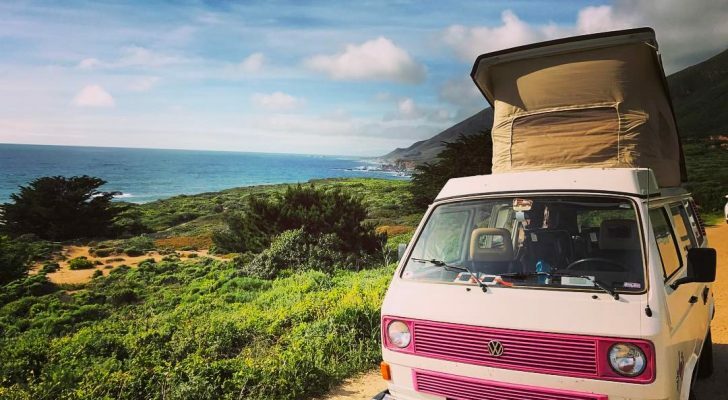 However, if you like to bake, or make a lot of dishes that require an oven, there is no reason why RV travel should deter or diminish this passion. The key to successful baking in your RV oven is to make a few adjustments, learn how your specific RV oven works, and don’t be afraid to give it a try. 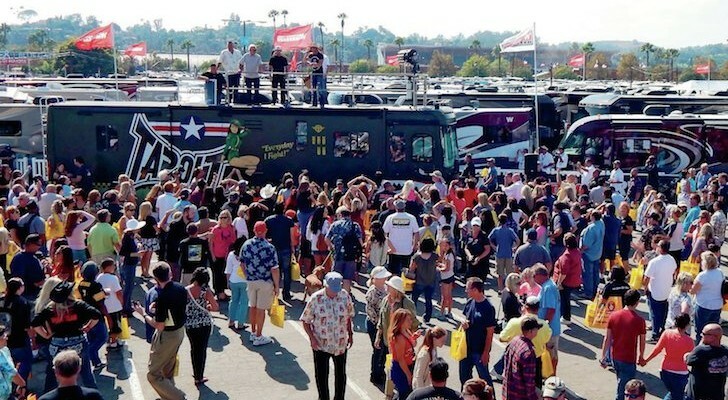 Before you know it you’ll be cooking like a pro in your home on wheels! 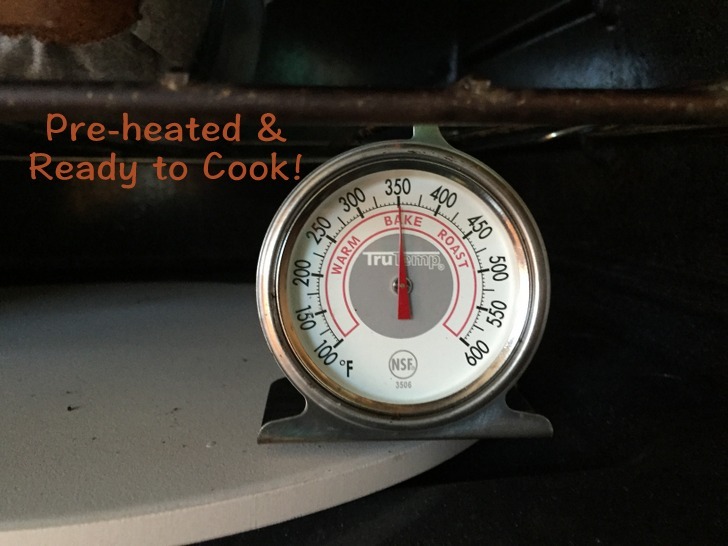 A quick note: This article provides tips for a standard propane powered RV oven. 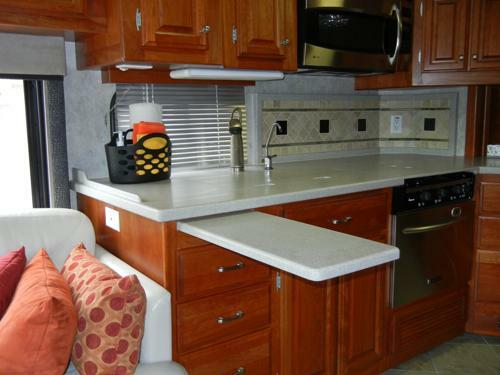 These days, some newer RVs come with a convection/microwave oven that runs off electricity. If you have one of these ovens, most of these tips will not apply. I suggest checking out this article and video by Gone With the Wynns to learn more about a combo convection/microwave RV oven. An RV oven is smaller than a typical house-sized appliance. As a result you may need to use smaller baking pans. You also will not be able to bake a tray of vegetables at the same time that you’re roasting chicken. Plan and adjust accordingly. 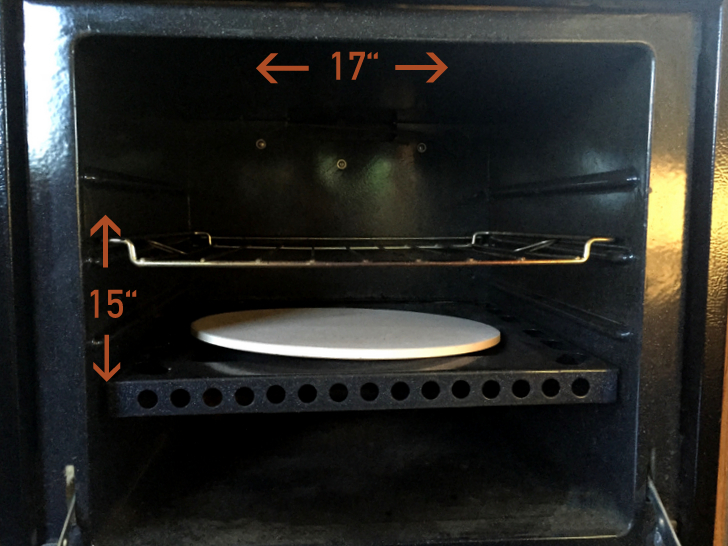 Measure the inside of your oven and make sure your baking pans fit ahead of time! Never trust the temperature dial on your oven. Chances are it’s not accurate. 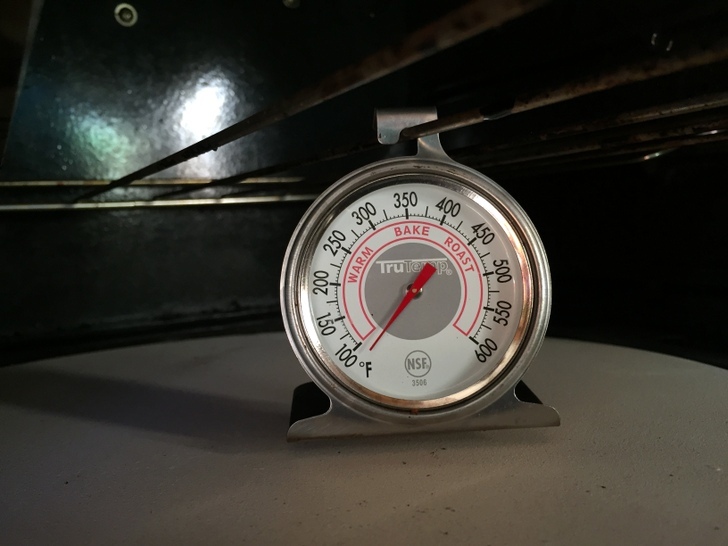 Cut out the guess work by placing an oven safe thermometer inside the oven and monitoring the temperature to see if it matches up with where you set the dial. After using a thermometer for a few rounds of baking, I determined that my RV oven is about 10 degrees cooler than the dial reads. Now I simply set the dial 10 degrees hotter than my desired temperature. A huge disadvantage of the typical RV oven is that it lacks a convenient buzzer or beeping sound when it reaches the proper temperature. No, that doesn’t mean you can just turn it on, throw the food in and walk away. Trust me…you still need to pre-heat it. The easiest method is to check your oven thermometer every 5-10 minutes while it’s heating until it reaches the desired temperature. Eventually you will learn how long it takes to pre-heat. Then you can simply set a timer (I like this magnetic one) and put the food in when the timer goes off. Chances are your RV oven will take longer to preheat than you think it should. Mine takes a whopping 20 minutes! I know, I know, it feels like you are wasting propane. But when your oven is properly pre-heated the food cooks more efficiently, which means in the end you will use less propane, even after letting it heat up for a ridiculously long amount of time. The number one complaint when it comes to RV ovens is that the food has a tendency to burn on the bottom. We’ve all been there. Cookies that are golden on the top and black on the bottom, bread that’s gooey in the middle and hard as rock on the sides. 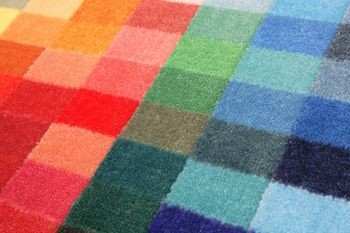 Guess what? It’s not your fault. Really…it’s not. To understand how to fix the problem you first need to know the basics of how your RV oven works. A propane RV oven is heated by a flame that comes out of a metal rod inside the oven. 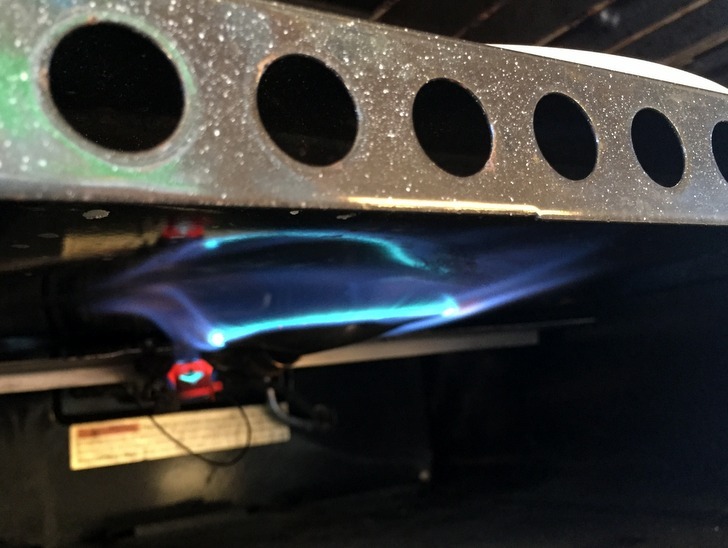 On top of the flame is a thin metal shelf that helps distribute the heat. Except that it doesn’t. 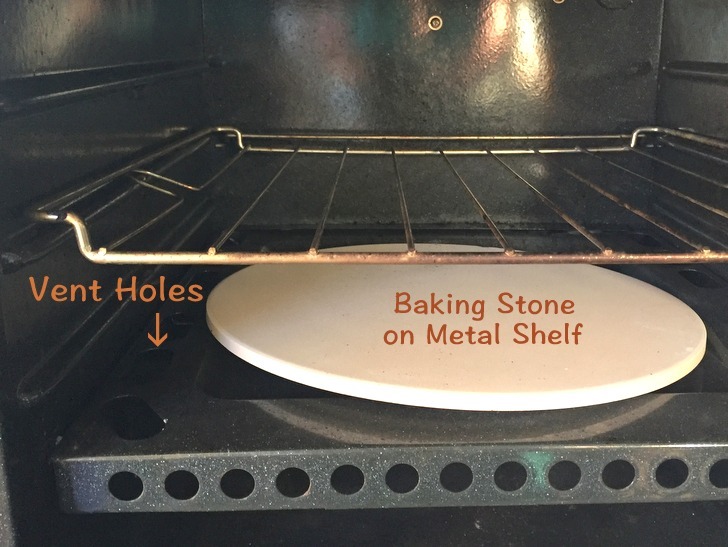 In fact, the metal plate does very little to distribute the heat, and as a result the oven has one hot spot (on top of the flame), and several cool spots (away from the flame). The solution? A baking stone or unglazed tile(s) placed on top of the metal shelf. This super simple solution can work miracles. The stone or tiles act as an insulator against the direct flame, while absorbing and distributing the heat around the oven. In my oven I use a simple round pizza stone, but you can also get a square baking stone, or even cheap unglazed tiles from the hardware store. 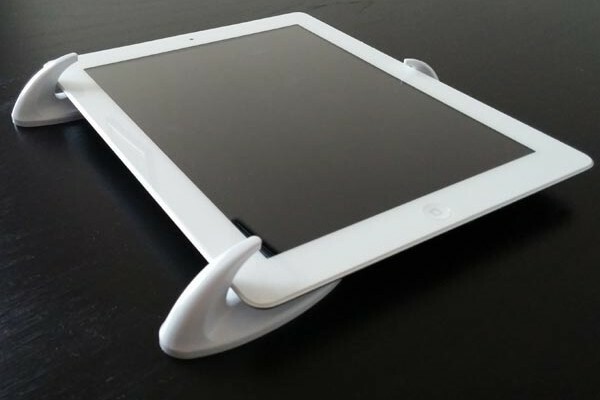 The key is to place the stoneware directly on the metal shelf while ensuring that you don’t completely cover the ventilation holes on the sides of the shelf. 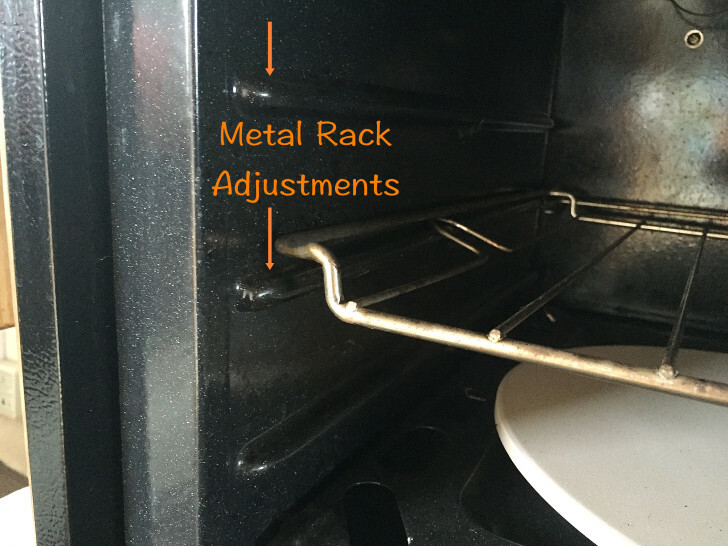 A typical RV oven only has one metal rack inside. That doesn’t mean the rack has to stay in a fixed position though. My oven has three different levels where I can place the rack. Generally I keep it in the middle, but occasionally if I want more or less heat I’ll raise or lower the rack. So you’ve pre-heated properly, you’ve got your baking stone distributing the heat, and you adjusted the rack. That should be enough right? Wait, there’s one more thing! I know, I know, it seems like so many steps and things to remember. But the truth is that once you put the stone on the bottom and make sure the oven has reached the desired temperature, your chances for success are quite high. And let’s face it, even if it takes a little extra effort to make that perfect batch of cookies or cheesy broccoli casserole, the fact is that you just baked something amazing in your home on wheels! And that in itself is something to be proud of. The pizza stone idea is great and works really well – IF you use an unseasoned stone! I should have thought of it before I tried it, but there was quite a bit of smoke from my well-seasoned stone before I pulled it out. Good news is, the smoke covered the odor from the litter box -LOL! Thank you so much for this article!!! My husband & I recently became full timers & baking in the oven has been a challenge. The whole burnt on bottom & raw on top has drove me INSANE. lol But thanks to your tips I have a feeling that cooking in my oven is about to go A LOT smoother. Thanks again!!! 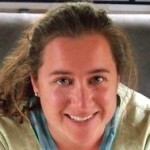 Thank you for this great article, Amanda! My husband and I have been camping in RV’s since the mid 70’s and I just worked up the courage to finally use the oven after all these years! 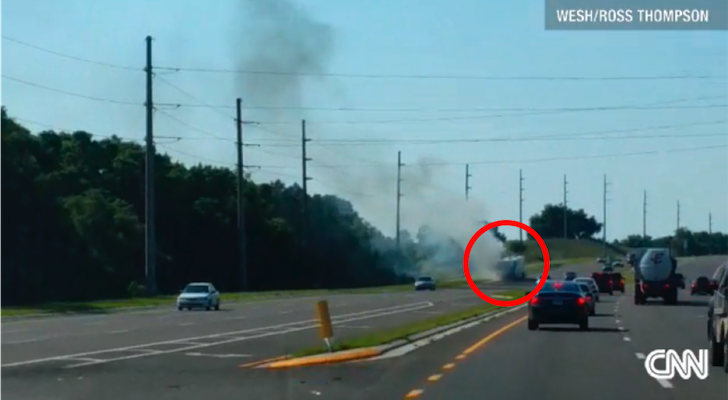 Our first RV, a 15′ trailer with no bathroom, and 3 kids – I tried to light the pilot light and it flamed up a bit and scared me! We’ve had a couple other trailers since then, and now have a small Fifth Wheel. We’re basically “half timers” now, traveling around the US six (winter) months and spending summer/fall at home in Maine with our family. I’ve finally worked up the courage to use the oven and so far, have done pretty well. The pizza stone has helped a lot. I will order an oven thermometer soon. Rotating the food is a great idea! Thank you again for your article! Love reading your DIY hints. 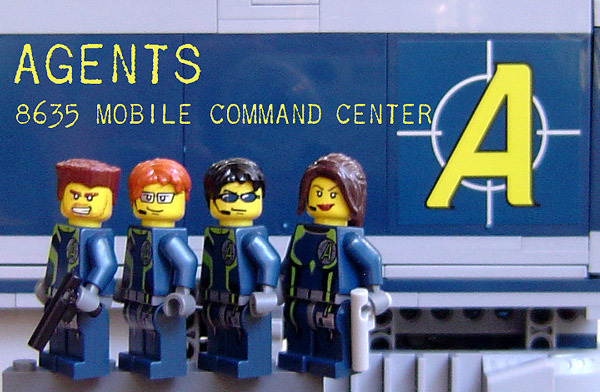 We will check out your blog.